President Mahmoud Ahmadinejad has ordered Iran's Central Bank to transfer the country's multibillion dollar assets home from the EU. This follows increased pressure by the U.S. to cut finance for Iran's nuclear programme. The money is being withdrawn to Tehran through a secret chain of companies operating in Gulf states such as UAE, reports Britain's Telegraph newspaper. Ahmadinejad hopes to beat Western banks' measures that are meant to cripple Iran's controversial nuclear programme. The Bush administration is targeting Iranian banks in an attempt to deny finance for the programme. It also puts pressure on EU partners to back the campaign and succeeded in persuading UN Security Council to monitor the financial dealing of two Iranian banks as part of the new sanctions imposed against the Middle East country in March. 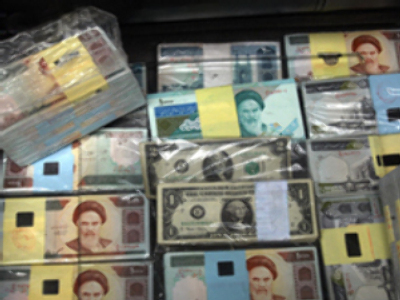 The move of funds reportedly caused friction with Tahmaseb Mazaheri, the governor of the Central Bank. The Iranian press said he may resign over the issue.